Face Crop Jet is a Software that Detects and Crops Faces from Photos producing Images ready for ID Cards. 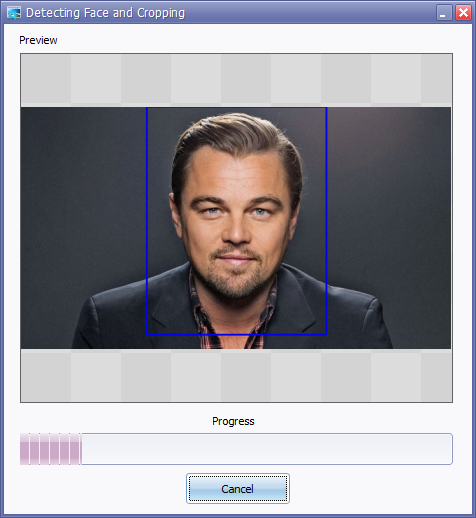 The Software uses advanced AI algorithms to detect a face from an Image. You do not need to manually select the Face or Crop Out portion of the image.Everything is Automatic. The cropped out portion of the Photo is a Profile Picture that is perfect for ID Cards. 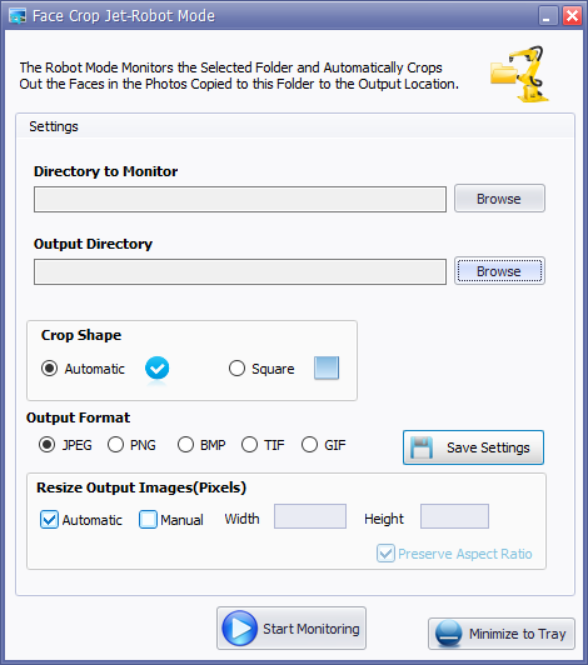 Robot Mode allows you to set Face Crop Jet to Monitor a specific Folder.It will automatically Crop out Faces from Photos copied to this Folder. You can add Images of any format or Size.The face detection and cropping will be automatic. 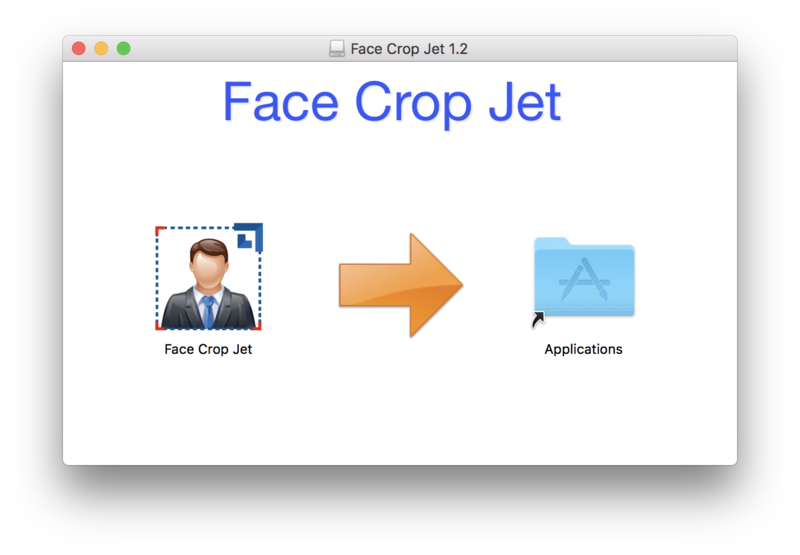 Face Crop Jet can detect Faces and Crop out the required portion from Images in Bulk. 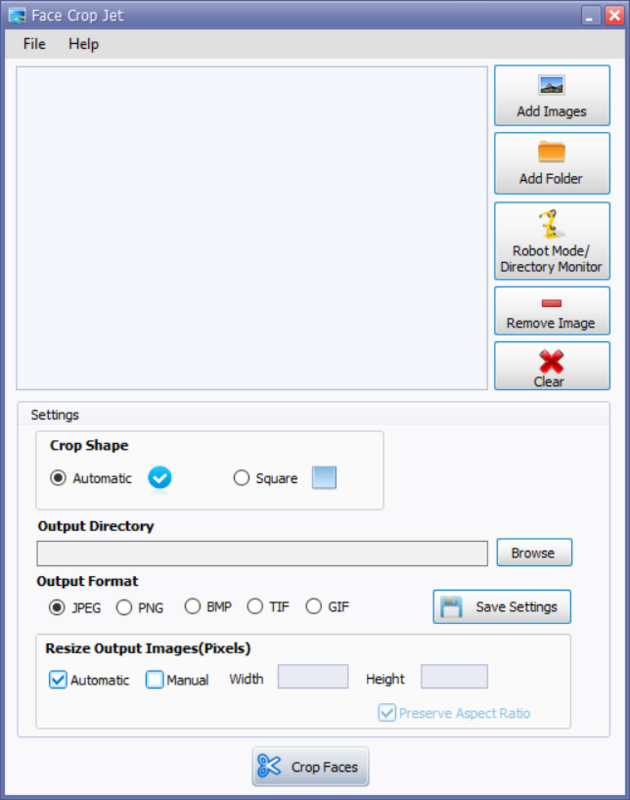 You can set the Crop Shape to Square.When this Feature is Enabled,Face Crop Jet produces Square Shaped Output Images. You can set the Output size so that all the output images will be resized to a specific size. The Innovative and Easy to Use Interface abstracts away all complexities making Face Crop Jet very Easy to use. Face Crop Jet will detect a Face from a Photo and it will save the Image containing the Face.The output images are perfect for using as a ID Card Photo/Passport Photo as it has all required features for an ID Card/Passport Photo. Face Crop Jet works by detecting a Face from an Image by using complex algorithms.It Crops out a perfect profile photo that can be used for ID Cards. There is Zero Configuration,everything is Automatic. 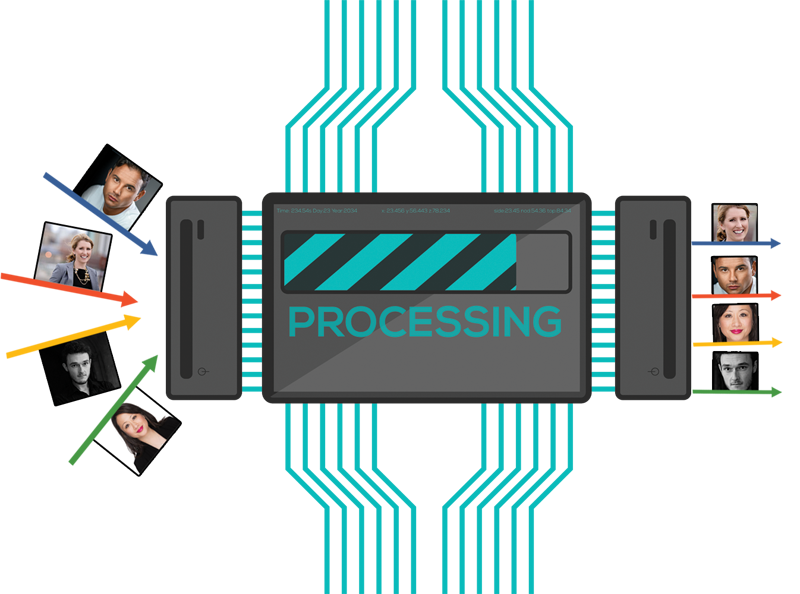 Photos can be processed in Bulk.100s of Images can be processed and perfect ID Card Photos will be created in minutes. Face Crop Jet supports almost all Image formats.You don’t need to worry about images being of different sizes,it will be handled automatically. Once you set an output size,all images processed will be resized to this specific size. 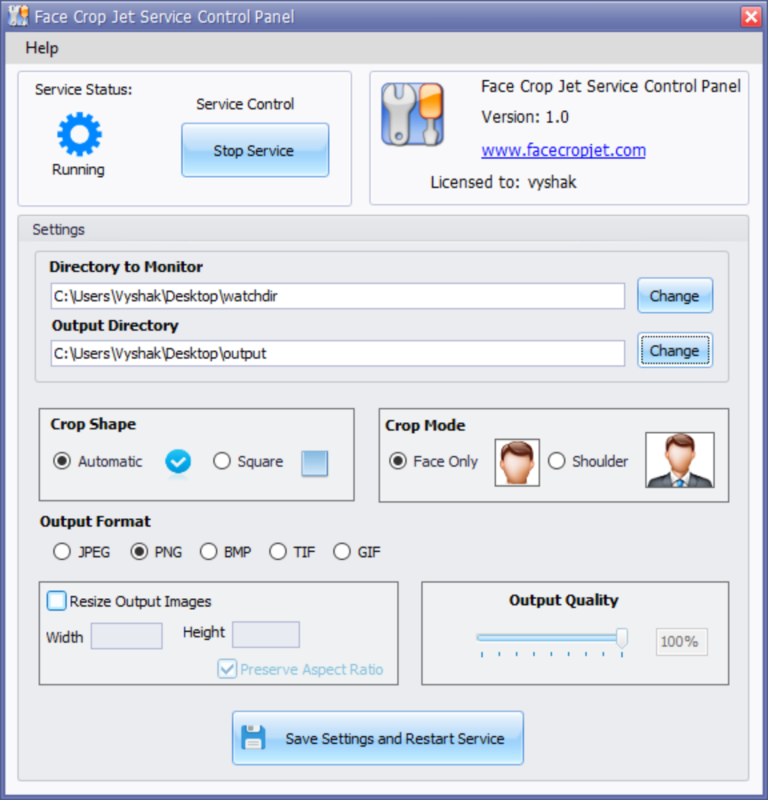 The service module of Face Crop Jet can be configured to automatically start without any user intervention on system startup.Face Crop Jet service module will monitor a folder for photos,crop and save faces from the detected photos to the output folder. Macintosh Edition? Yes, we love Mac!